During a Monday roundtable by the AFL-CIO, United Steelworkers Pennsylvania President Kameen Thompson praised Trump’s 25 percent tariff on imported steel and 10 percent tariff on imported aluminum as necessary to not only save Americans’ jobs from being shipped overseas by free trade but also to keep America safe in the face of war. “[The tariffs are] part of national security and part of job creation,” Thompson said. 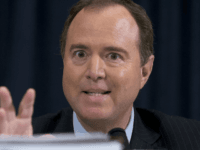 Thomspon said the claims from the mainstream media and the political establishment — both of which are aligned in promoting an agenda of endless free trade — that prices for consumers will skyrocket are overblown and not supported by data. 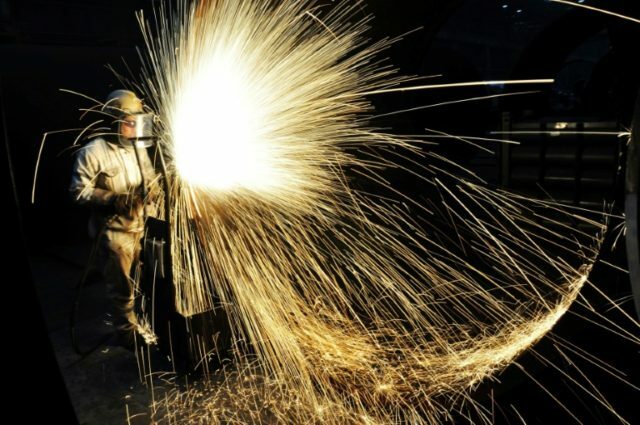 When Trump announced his fair trade tariffs on imported steel and aluminum, American workers from across the country thanked the president in a series of videos in which they detailed how free trade had wiped out their jobs and livelihood. President Trump is set to release a package of $50 billion worth of tariffs and restrictions on Chinese investments, while the U.S. goods trade deficit with China remains at $29.3 billion. Since 2001, free trade with China has cost millions of Americans their jobs. 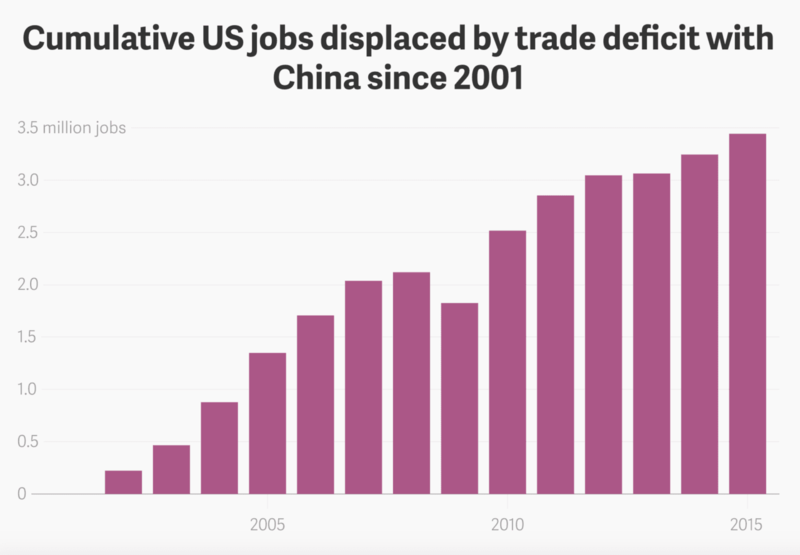 For example, in a report by the Economic Policy Institute, between 2001 and 2015, about 3.4 million U.S. jobs, were lost due to the country’s trade deficit with China.